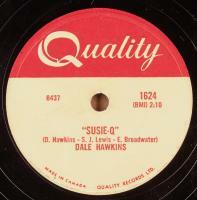 Sensational Rockabilly classic by Dale Hawkins featuring influential rockabilly guitarist, James Burton on the Canadian “Quality” label. 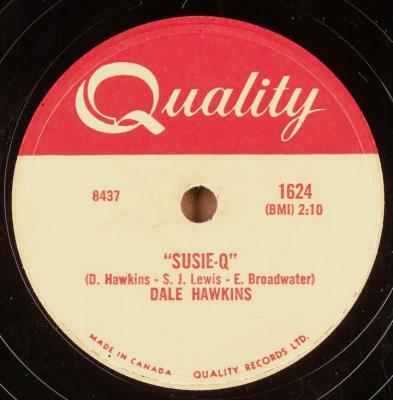 Condition: V/V+; Plays great, loud and strong, generally quiet surface. Light to moderate scuffing/rubbing, bit of light scratching and light to moderate graying of grooves.